The smell of cinnamon in the air can warm both the heart and home with its beautiful aroma. Whether baking with it or adding a simple sprinkle, the tasty addition of this simple herb can take your dish to the next level. Do we know where it comes from or what the benefits of cinnamon really are though? Let’s take a look at some of the reasons we need to spice up our lives a little more with this powerful treat. It is harvested from the inner barks of the Cinnamomum tree and the peels form small curls, or sticks, which we use most commonly in our warm frothy beverages in winter time. The other way that we usually see cinnamon is in its powdered form, which is basically just the ground harvested sticks. Although the benefits are noted above, only one cinnamon variety provides them – the Ceylon variety. 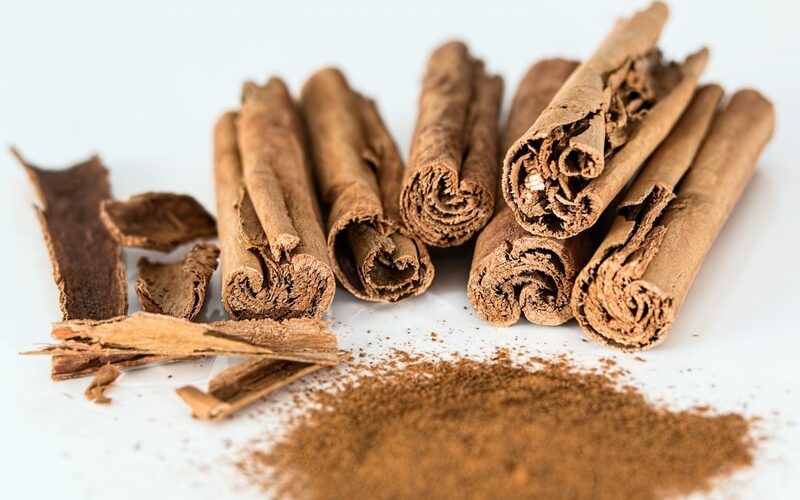 Generic cinnamon found in most supermarkets is of the other variety – cassia, which is not as beneficial to the body as Ceylon cinnamon and can even cause some harm if taken in large doses. So make sure you get the right variety and then sprinkle, stir, shake or bake till your heart is content. Do you have a health cinnamon recipe you’d like to share? Please feel free to comment below. Read more about other herbs for your health here.